Mountaineers have been climbing Mt. 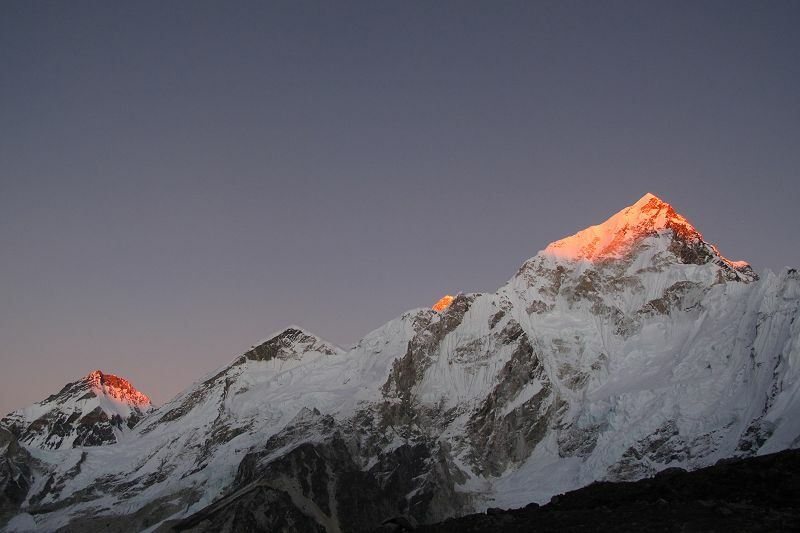 Everest since the early 1920s and their triumphs and tragedies leave us perhaps the richest literary and cinematic record of any of the world’s iconic peaks. Few of us will ever attempt to climb Everest because we lack the maniacal drive of the men and women depicted in the best books and movies about Everest. Read and watch these accounts and they may inspire you at the very least to trek to Everest Base Camp (17,500-ft.) The EBC trek is far less harrowing, but will give you insight into why some believe an Everest summit attempt is worth dying for. Here are some of our favorite Everest reads and reels. In the 1930s, Brit civil servant Hugh Ruttledge continues the quest leading two expeditions, but also fails to gain the summit. His 1937 book, “Everest: The Unfinished Adventure,” depicts how tough it was trying to bag Everest without high tech gear or oxygen. At least Ruttledge had the good sense to hire Tensing Norgay to guide him. It was Norgay who helped Edmund Hillary get to the top in 1953. Norgay’s son, Jamling, gives us great insight from the Nepalese perspective in his 1996 tome, “Touching My Father’s Soul.” Sherpa culture is fully explored and the bubbling tensions between underpaid Sherpas and super rich Western climbers are on display. Best sellers are not necessarily the best reads, but Jon Krakauer’s “Into Thin Air,” is. It’s about the rogue storm caused 1996 tragedy that took eight lives and makes it painstakingly clear why the economics of Everest mountaineering and high tech/high mountain ego gratification are a deadly brew. As the world’s highest peak Mt. Everest at 29,029 feet is a movie director’s dream. The peak is both villain and irresistible siren luring men, sometimes killing them. “Everest: IMAX” is the most spectacular Everest footage ever shot. World class climber/writer/cinematographer David Breashears had the 1996 disaster unfold while he was there making an Everest climbing documentary for IMAX. Even if you only see this on Netflix and not on an IMAX screen it is a herculean piece of mountaineering cinematography. The best Everest historical documentary by far is, “Beyond the Edge” (2013) by New Zealand’s Leanne Pooley. Archival footage of Hillary’s first summit success is buoyed by reenactments and the total package is a must see for anyone trekking in Nepal’s Himalaya. For a gut wrenching Everest adrenalin rush, see “Everest” the 2015 film starring Josh Brolin. It’s not Oscar worthy, but will make you glad you decided to trek to Everest Base Camp and not seek the summit. Sometimes knowing your limits and harnessing your ego is the best route taken. If there is any one take away from the Everest literary/cinematic canon it’s this: Climbing Everest is the world’s most spectacular dangerous outdoor adventure. Because it’s there we risk everything to conquer it.